Dutch watch brand MontieK releases a new Tourbillon watch at price unheard of by virtue of combining the best of two worlds. 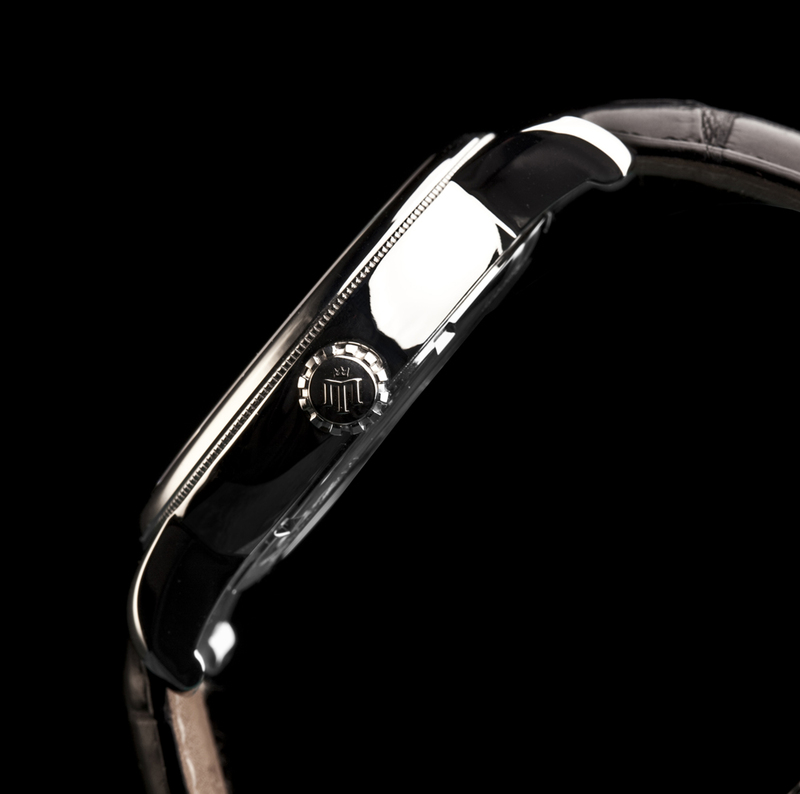 After the successful launch of this new European watch brand in early 2011, MontieK is stepping up its activities. It is expanding its current collection of classical and refined looking Tourbillon watches with the release of a new model viz. a Regulateur Tourbillon watch. 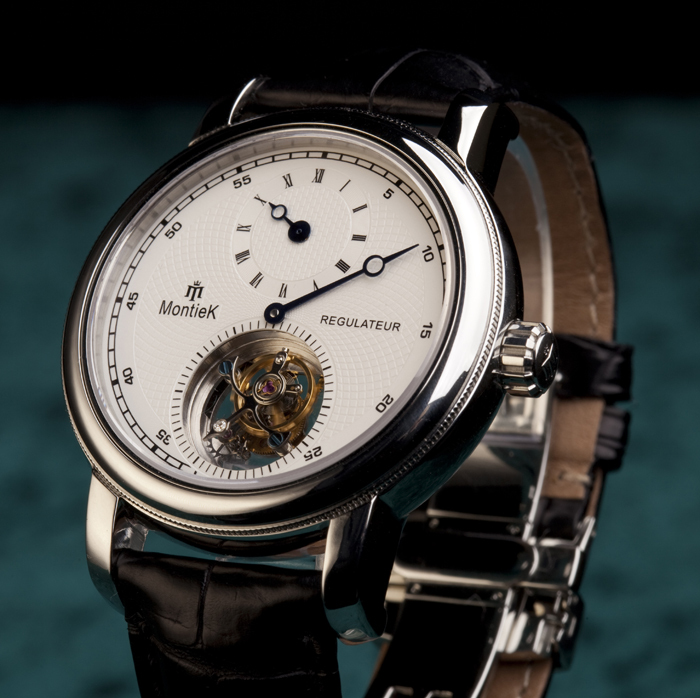 In line with MontieK’s philosophy and mission to offer high end market Tourbillon watches (typically priced at a minimum of €25.000 and often a multiple thereof) at an accessible price, also this MontieK model reflects again an unbeatable price / quality ratio, a ratio hitherto unseen in the traditional Tourbillon watch market dominated by the established European brands. Like MontieK’s existing Tourbillon watches, also this new Regulateur Tourbillon watch MRS-01/MRB-01 has a timeless classical appearance. This appearance and the refined details clearly demonstrate the exclusive and high end market nature of this new watch in MontieK’s collection. The dial and the blued steel hands, the polished stainless steel watch case with rounded sides and a refined fluted bezel set the characteristic looks of the watch. Together with the, by its very nature, sophisticated Tourbillon mechanism, all these features which have been carefully brought together, add up to a watch with an exclusive and classy appearance. 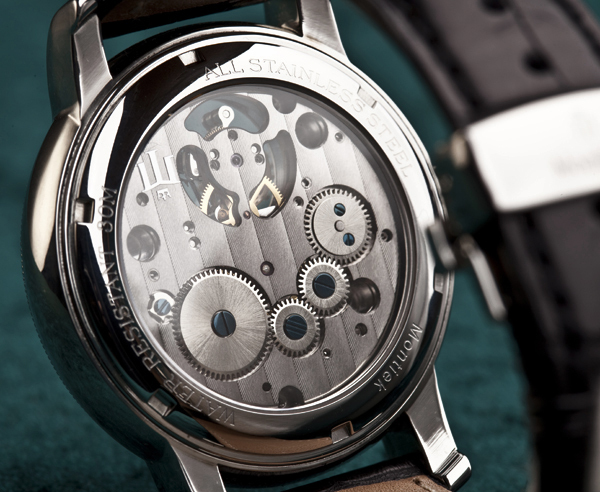 Its dimension of 41mm meets with the ideal size for a dress watch. Both sides of the watch are equipped with sapphire crystal glass and give a clear view on the Tourbillon cage on the frontside and on the decorated movement calibre on the backside of the watch. This master timepiece does not only record time in an impeccable manner with a fast 21,600 beats per hour and a 40 hours power reserve but with its appearance is also a real eye-catcher that pleases the eye of the beholder. Alike the other MontieK Tourbillon watches, also this model comes with an appropriate finishing touch in the form of an alligator leather strap together with a fine looking MontieK deployment buckle. These features make the watch easy and comfortable to wear on one’s wrist. In a review of one of the current MontieK Tourbillon models by the renowned International Watch Magazine, this watch was described as one of the most comfortable watches they had worn in some time. With a considerable book of enthusiastic clients, very positive reviews in professional magazines as well as on forums and already more than 16.000 fans on Facebook, MontieK is receiving recognition from all over the world. Shortly MontieK will be featured a.o. in the premier issue of the new American watch magazine AboutTime as well. In line with its philosophy and purpose MontieK has decided to set the introduction price for this new MontieK Regulateur Tourbillon at € 1.590,=, which is a premium price for “first movers” and therefore will be valid for a limited period only. The Regulateur Tourbillon is offered both in a silver and a black execution with straps in four different colourings, a seven days return option at no costs in the unlikely case that the watch would not meet buyer’s expectations, a two years guarantee as well as an ongoing after sales servicing after expiry of the two years guarantee period. 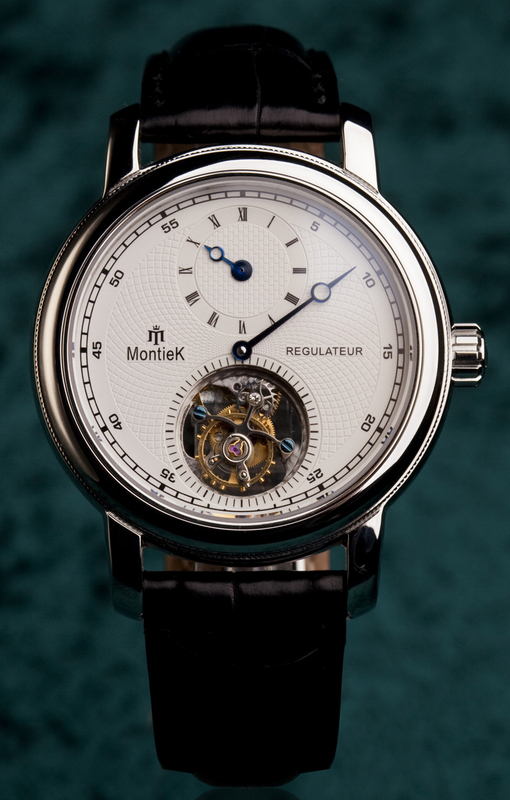 With MontieK’s purpose of avoiding the high costs inherent to making use of expensive distribution channels and costly promotion and sponsoring activities, MontieK Tourbillons can only be ordered world wide through its webshop: http://www.MontieK.com . 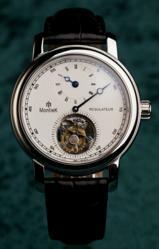 The attractive pricing of MontieK's timepieces is made possible by a cost effective synergetic geographical cooperation among watch professional from two Continents. 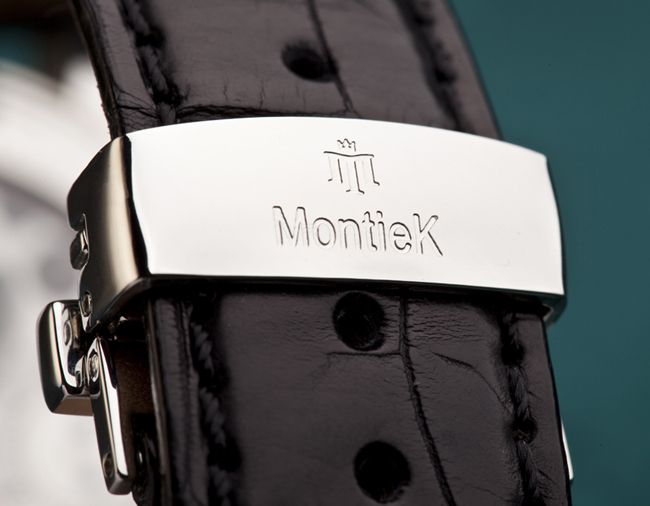 MontieK’s design, marketing and servicing team resides in Amsterdam and brings in "connoisseur" driven European design, quality and service standards whilst the watches are crafted according to these high European standards in a small atelier of experienced and passionate watchmakers in Hong Kong. By virtue of this Cross Continental set-up and by strictly focussing on its mission to supply watch enthusiasts with high end market Tourbillon watches against an accessible price, MontieK is today’s rebel in the traditional world of Tourbillon watches so far dominated by the established European brands. Simultaneously with the release of its new MontieK Regulateur Tourbillon watch, MontieK also announces to have redesigned its website with the purpose of making it even more informative and user friendly than the expiring one.